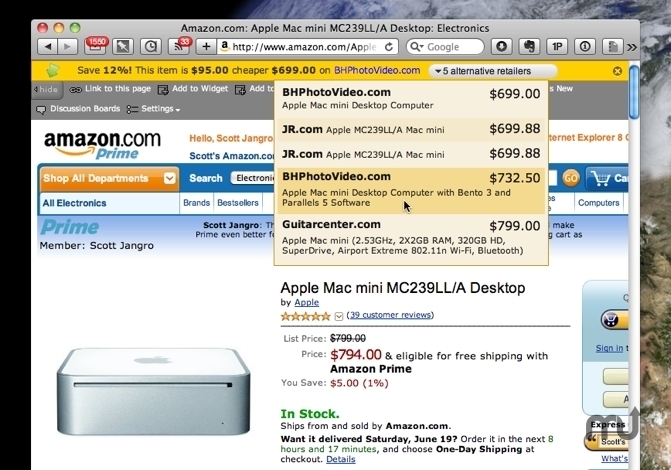 Safari extension that finds better prices when shopping online. Is there a better alternative to InvisibleHand? Is InvisibleHand really the best app in Plugins category? Will InvisibleHand work good on macOS 10.13.4? It stays out of your way: InvisibleHand remains invisible until it finds a deal on a product you're shopping for. Real-time prices: Unlike price comparison sites, InvisibleHand refreshes its prices every single time you use it. It works with Google: When you google a product, InvisibleHand will automatically show the lowest real-time prices. Reveal hidden prices: InvisibleHand knows the price even when the retailer tries to hide it (US only). It learns as you use it: InvisibleHand will search for deals, even when you browse a product it hasn't seen before.